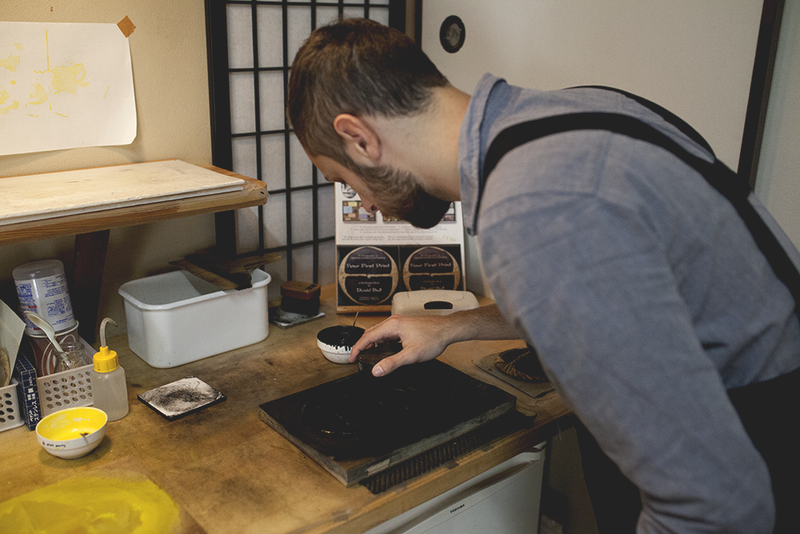 While in Tokyo, one of the things we signed up to do was a traditional Japanese woodblock printing class. I know of the printing press Mokuhankan from YouTube, where he showcases how he makes his prints. Steven showed it to me ages ago. Being that Steven took printmaking classes in college, he was interested in doing this class. 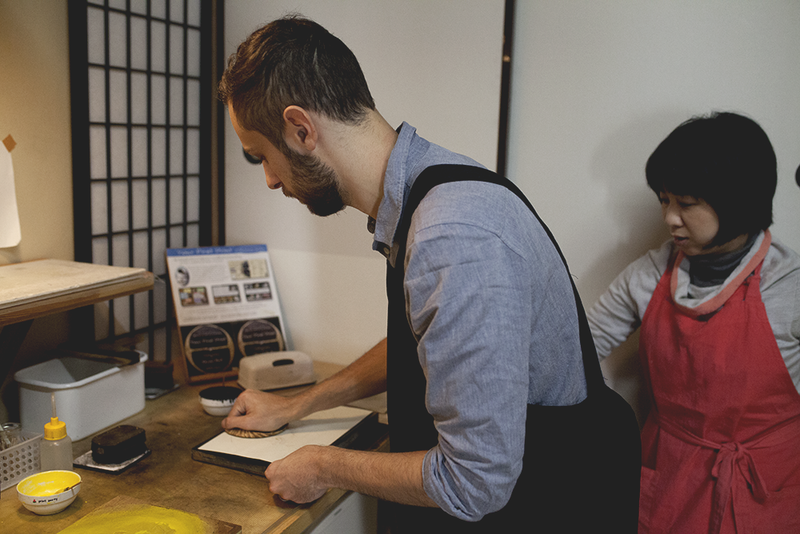 Not only does the studio create prints to sell, but they offer classes for people like us to try our hand at traditional Japanese woodblock printing, which is different from the technique that Steven learned in college. They also have prints that they sell onsite, some truly gorgeous ones like their reproduction of Hokusai's Great Wave. 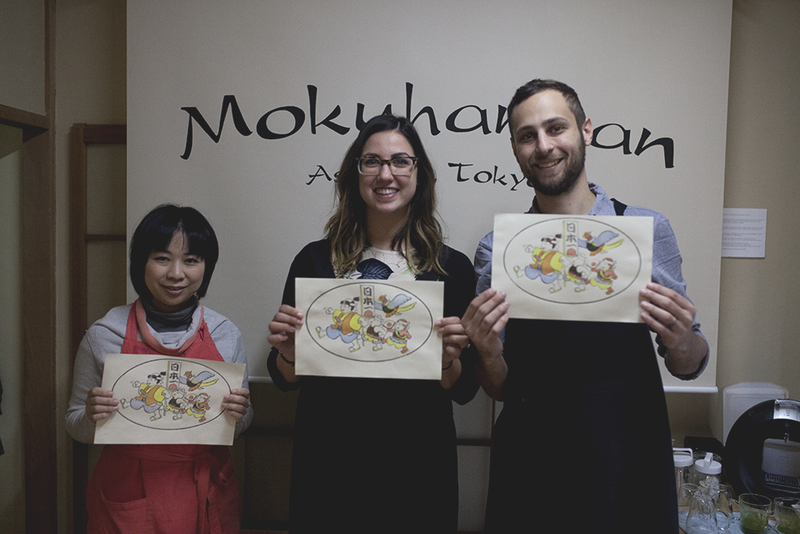 While we didn't carve the woodblock itself, we used four different colors and pre-carved woodblocks to create an image from the story of Japan's Peach Boy. 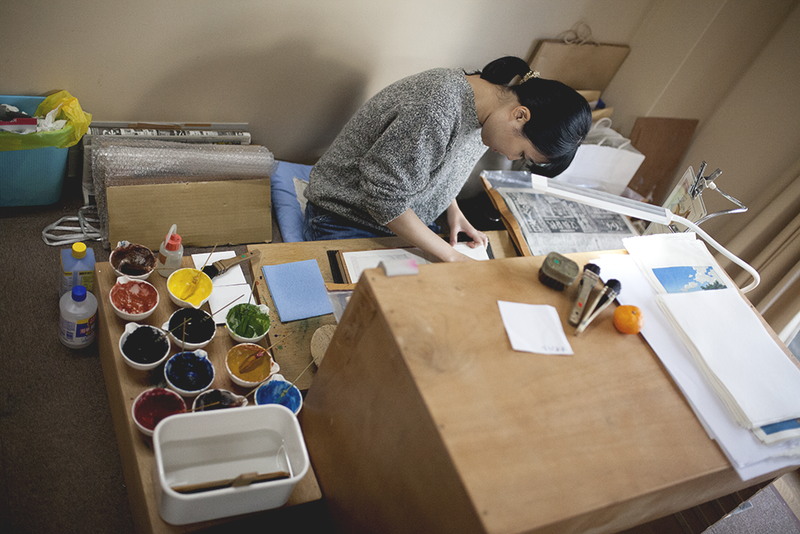 After we went through our class and learned the traditional process, we got to peek upstairs at two of the printers working on pieces for the shop to sell. Seeing how many different colors they were using, and how clean their lines were, and how truly professional their prints looked, even at early stages, was very humbling. After trying it myself, I had a new appreciation for the precise skill that goes into woodblock prints. 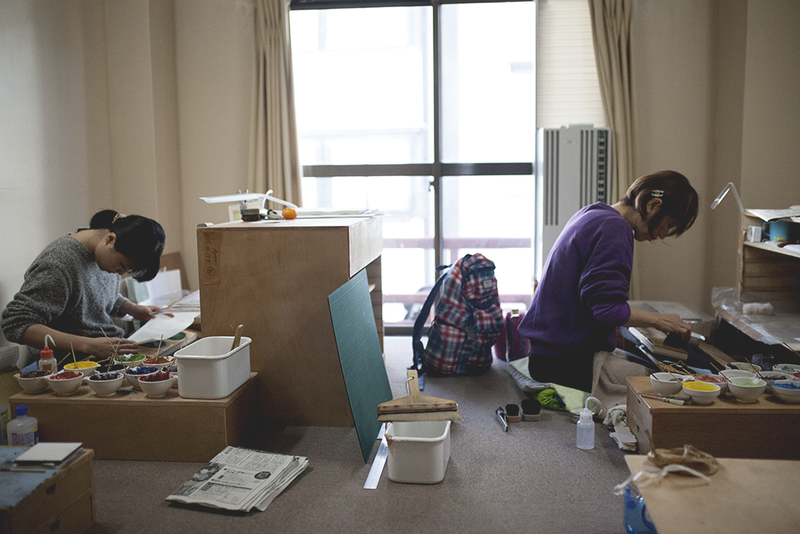 In the photos, you can see that it looks like they are sitting on the floor while working. There are actually holes in the floor for them to extend their legs while they work, which is very akin to Japanese style, versus us in the States working at desks. After that, we took a look at their prints for sale. I love their series on Mt. Fuji from different view-points. We visited Lake Kawaguchiko that has a great view of Mt. Fuji, and it's truly a magnificent sight. Steven really liked this one print of a scene at a bath house. However, we ended up buying a print that neither of us expected. It's truly stunning, unlike any other print I've ever seen. 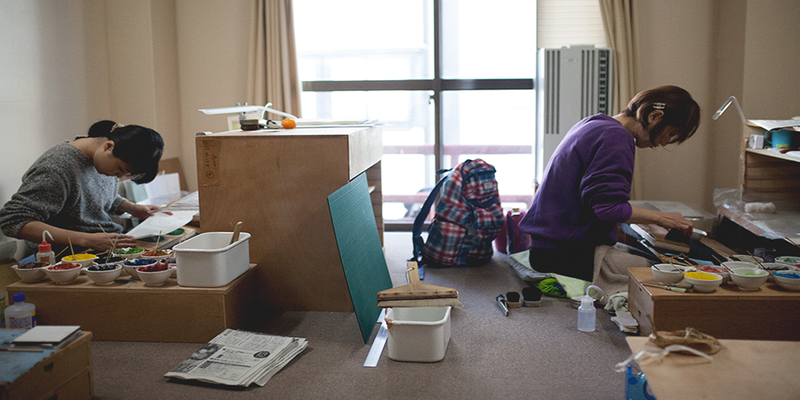 We're still in Osaka, so it's all wrapped up for us to bring it home in our suitcase. Once we bring it home though, I can't wait to get a frame for it and put it somewhere in the apartment where I will see it everyday. Will definitely share some photos of it once it's up! Although, I suspect that photos will not do this particular piece of artwork it's justice. You'll just have to come over and see it!